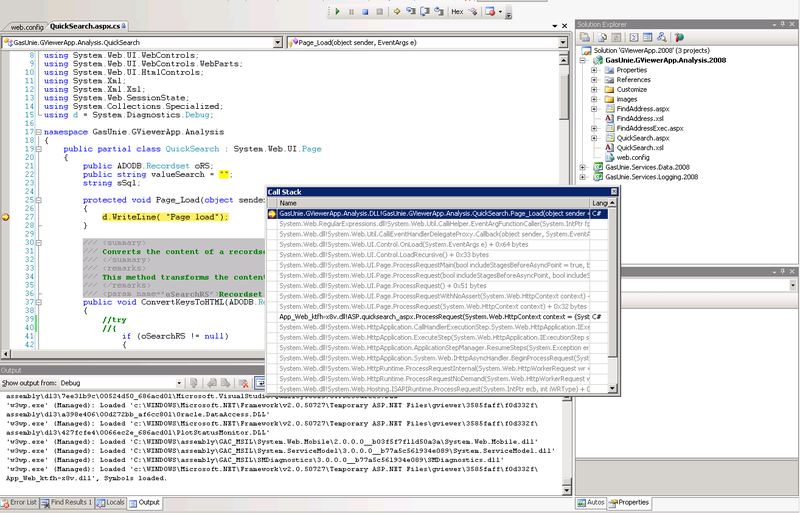 This figure shows the ‘Configuration’ dialog of the GViewer-IIS node. 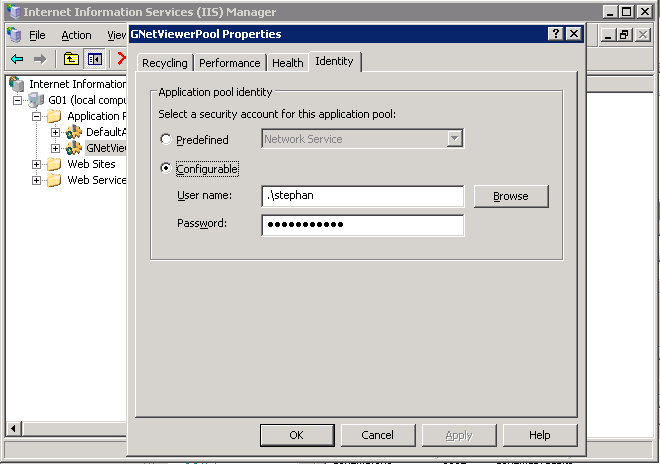 You can reach this by opening Internet Information Services (IIS), right mouse click the GViewer Virtual Directory, select the ‘Virtual Directory’-tab and then select the ‘Configuration’-tab which shows the ‘Application Configuration’ dialog. Make sure you select both checkboxes in the ‘Debugging flags’ section. 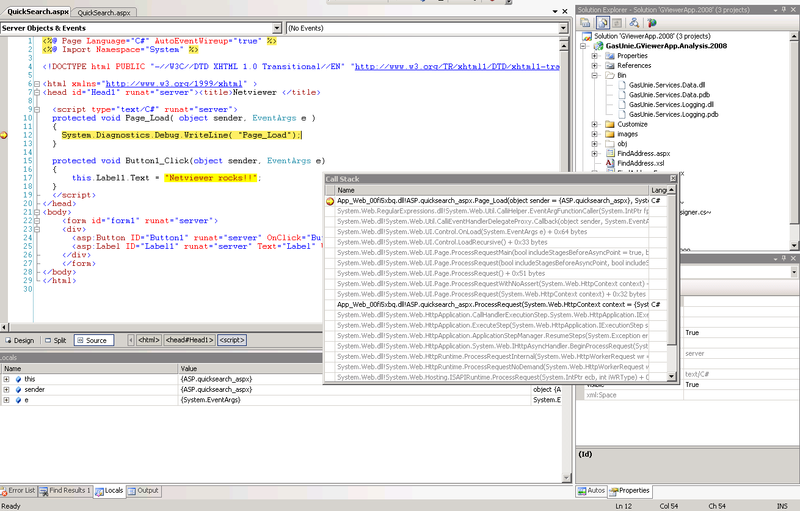 In my experience, that’s the most convenient way to debug ASPX pages. 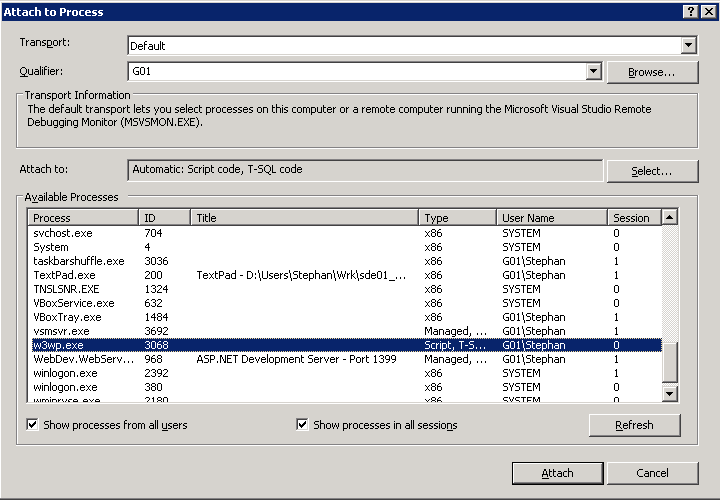 You just need to place the .aspx-page in the GViewerApp folder, attach Visual Studio to the w3wp.exe process and you’re ready to go. 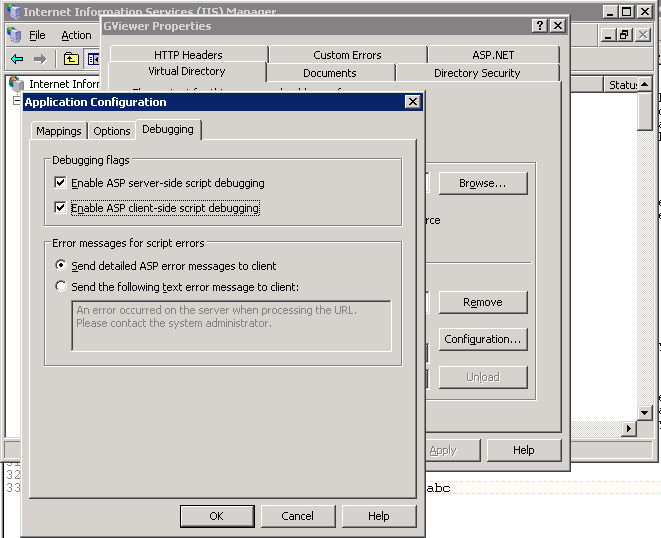 You can also change code in the aspx without having to restart the server, ASP.Net will recompile it runtime. 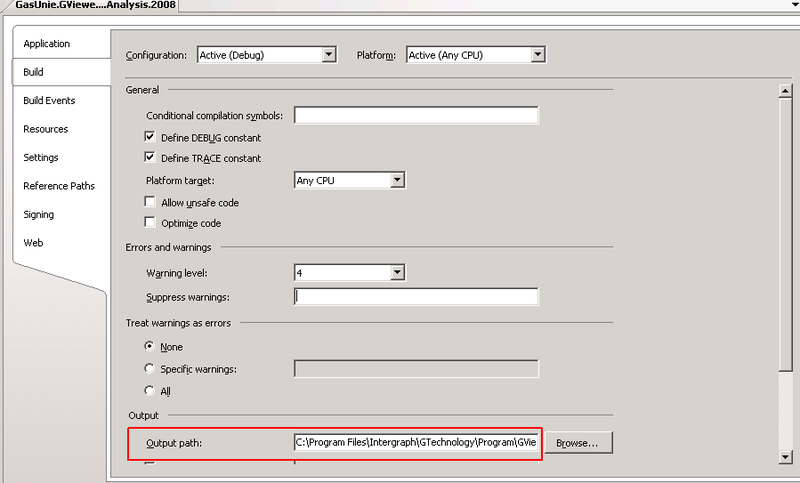 If the process ‘w3pw.exe’ doesn’t show up in the process list and Netviewer is started, there is no session yet. 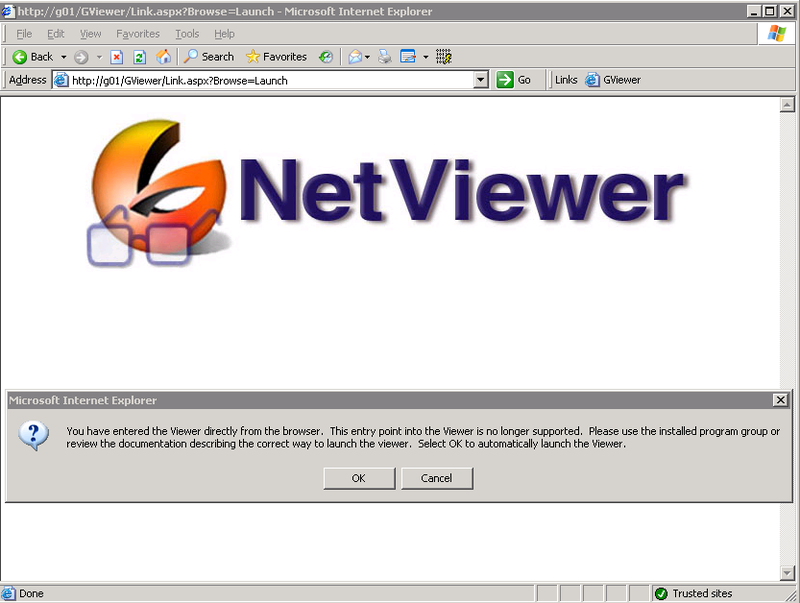 You need to start Netviewer client for new HTTP requests to be send to IIS which will start a new worker process ‘w3wp.exe’. This is your new session. Windows now creates a symbolic link to your source-aspx, and it looks like there are 2 seperate aspx-files, but if you edit either one of them both are changed since there’s really only one version. This way, the version in in GViewerApp always matches your development version. 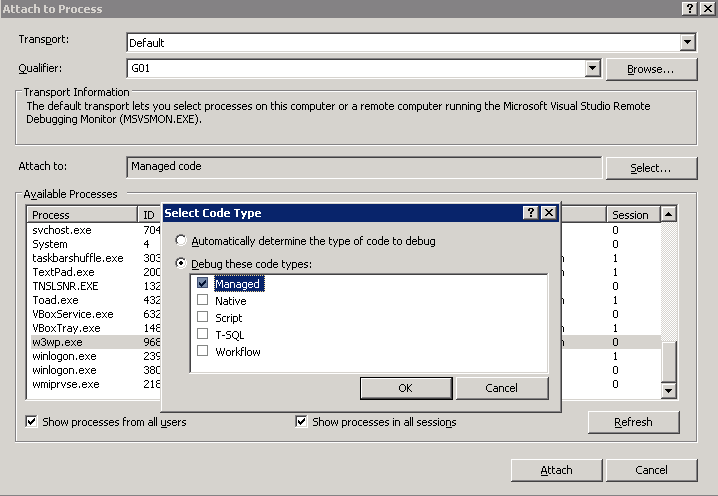 This entry was posted in Debugging, Netviewer, Visual Studio and tagged aspx, debugging, G/Technology, Netviewer, Visual Studio. Bookmark the permalink.